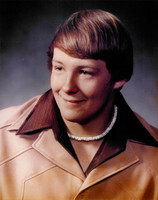 A graduate member of the Tomahawk High School Class of 1977 participating in football, basketball, track and baseball. Darryl participated in 15 of a possible 16 athletic seasons as a knee injury held him out of his senior year in football. As a true competitor he earned 11 letters and six All Conference honors over his high school career. In football he earned letters his sophomore & junior year, was the winner of the Best Attitude Award his sophomore year, as well as earning All Conference Honorable Mention his sophomore and junior year. Honors earned in basketball were letters his junior and senior year, a member of a Conference championship as a junior and MVP and Second Team All Conference his senior year. As a member of the track program he earned three letters, was a member of a Conference championship his sophomore and senior year, First Team All Conference and Regional Champion his senior year as he established a record in the discus that still stands today with a toss of 159'11". Baseball was the area where he excelled. Lettering all four years, awarded All Conference as a pitcher (7-0 in the conference, 12-1 overall with an ERA of 1.8), MVP and winner of the John Corbett Award his sophomore year; repeated as MVP and was All Conference Honorable Mention as a junior overcoming his knee injuries; and won his third straight MVP Award, second John Corbett Award as well as All Conference honors his senior year. In addition to individual honors, he was a member of a Conference, Regional, Sectional, and State qualifying team his sophomore and senior years. He was so dominant on the mound that he lost only three games in his last three years of high school (two at state and one to Medford). After high school he attended and played baseball at UW-Stevens Point for one season. Since 1980 he has been successfully employed at the Tomahawk Paper Mill.